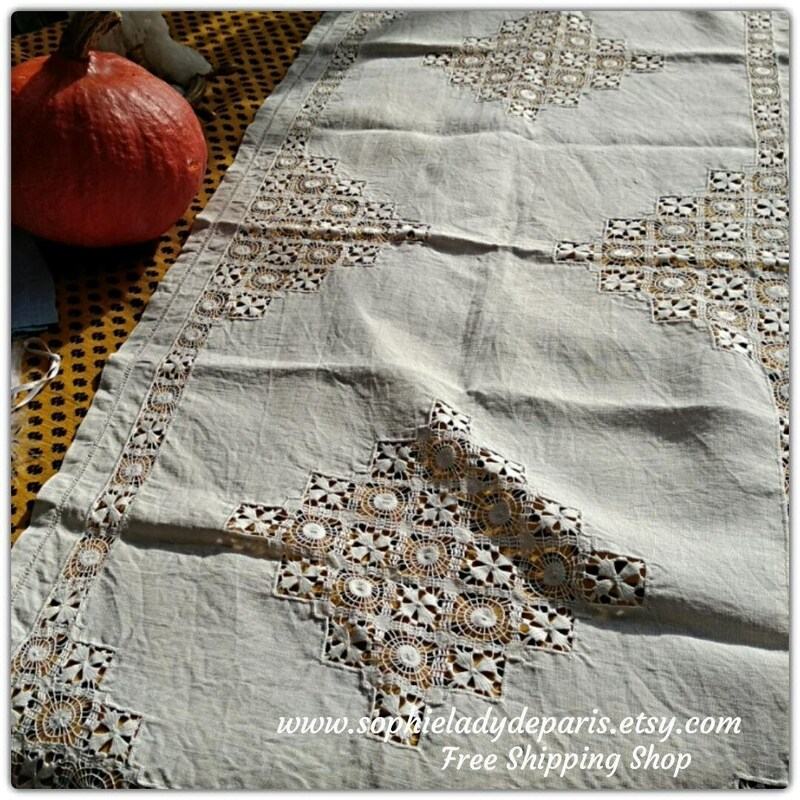 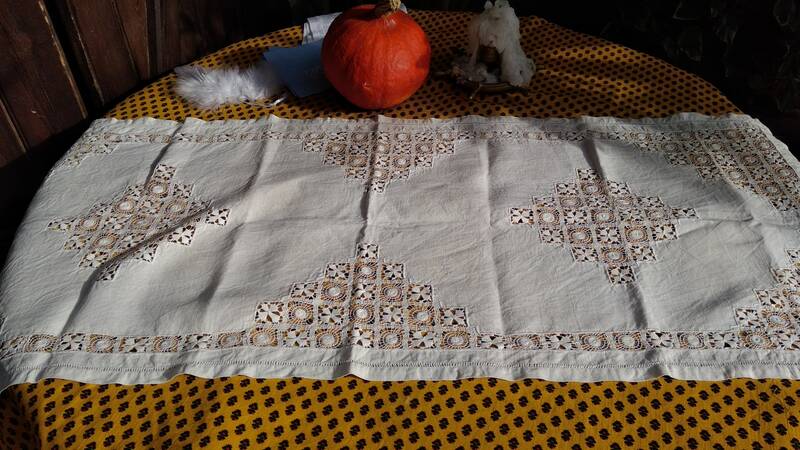 Antique Long Linen Runner. 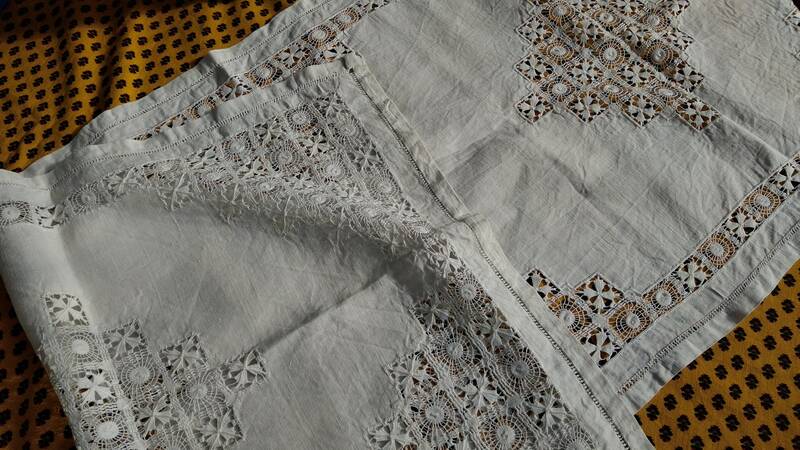 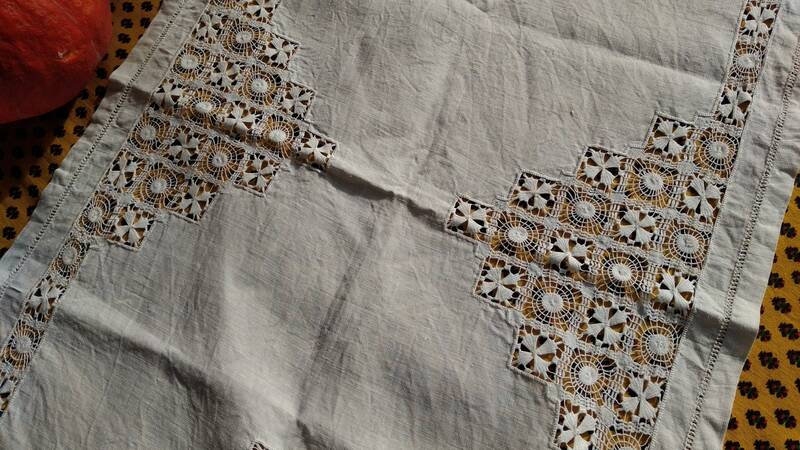 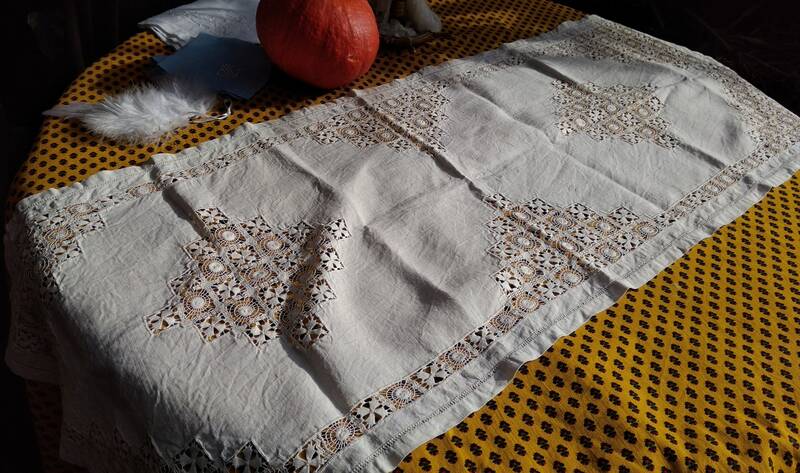 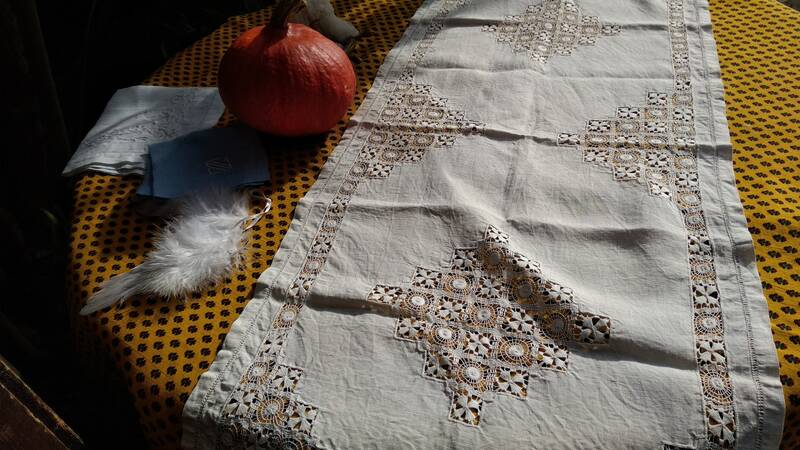 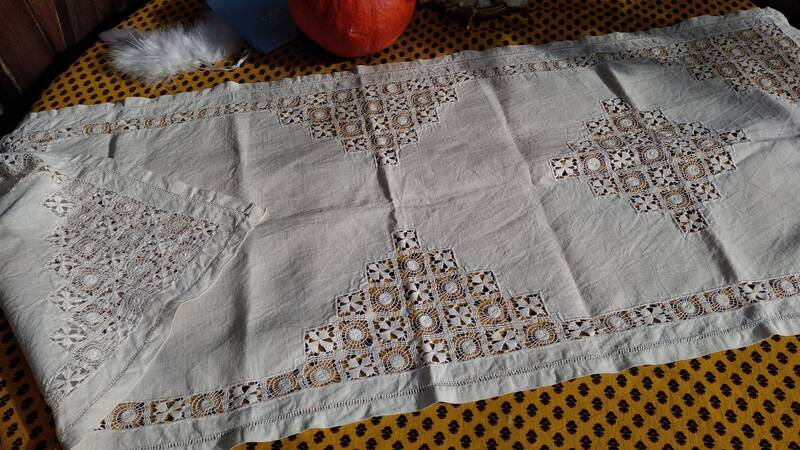 Handmade White French linen with lace inlays. 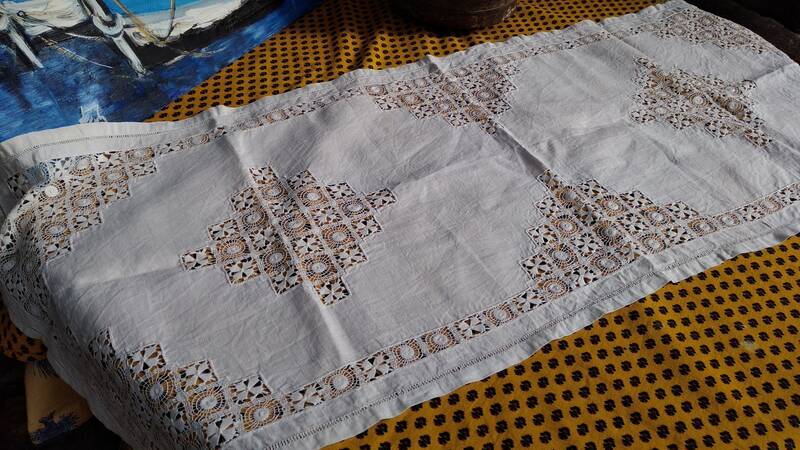 Beautiful piece to decorate a table or a piece of furniture ! 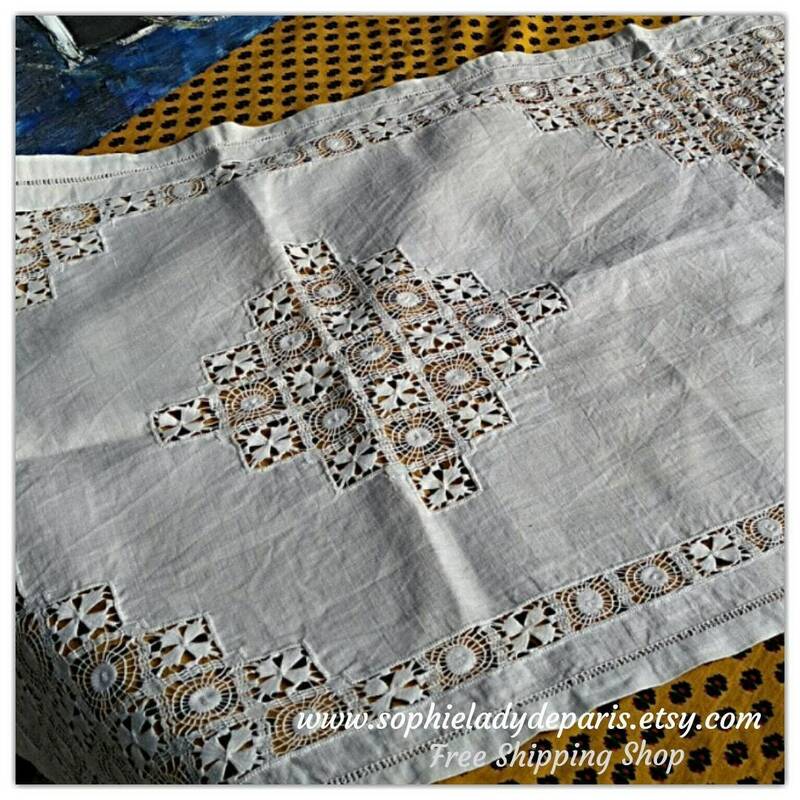 Free shipping, 1 week delivery to the US.